The American Association for Advancement of Science (AAAS) promotes the development of science and engineering at the national level. 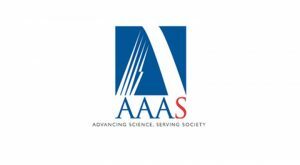 AAAS is the world’s largest scientific society, partnering with over 262 societies and academies of science. This grant supports four fellows in its Mass Media Science and Engineering Fellowship Program (MMF), which provides young scientists and engineers with an opportunity to participate directly in the field of journalism and enhance their skills in communicating science. During this 10-week summer internship, fellows attend a communications training in Washington, D.C., and are subsequently placed at various media sites—including CNN, WIRED, the New York Times—across the nation. At each site, a fellow is paired with a mentor who provides guidance on communicating complex science and engineering news to the public, as well as on journalistic best practices.